If you are planning to do your own interior painting, but want that professional finished looked, you have come to the right place. I happen to be married to a man who has been professionally painting in some compacity for the last 36 years. He has generously agreed to let us in on a few trade secrets that he has had to learn the hard way at times. 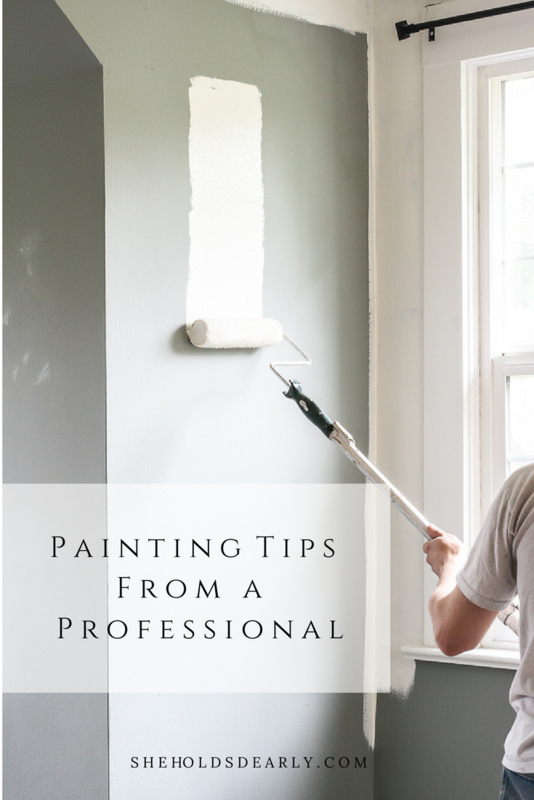 Hopefully, we can spare you some headaches with these Painting Tips From a Pro. 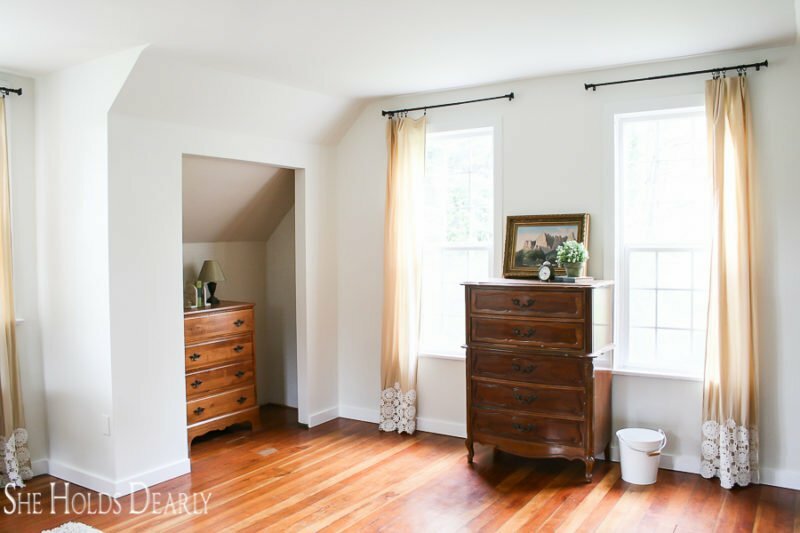 We recently finished the millwork and painting in our master bedroom which gave us plenty of time to chat. He told me there is a little inside joke between the professionals that goes something like “You can tell the pros from the amateurs because the amateurs think they can skip the masking.” The professionals know not to risk this step. We will cover proper masking in a minute, but first let’s talk prep work. * I received compensation to complete this project for using FrogTape painter’s tape products. All opinions, projects and ideas are based on my own experience. 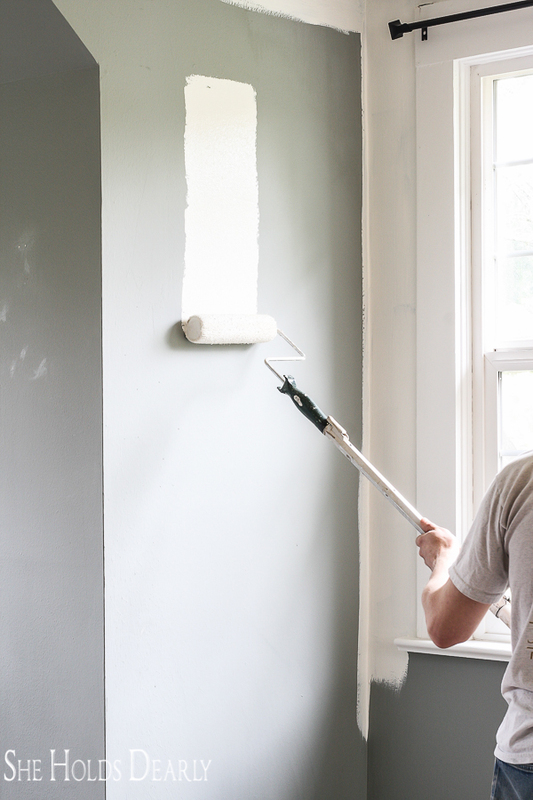 Have the store mix your paint with their machine or use a paint stirrer before starting. For five gallon buckets, he recommends this drill attachment. Use a paint tray liner for easy clean up. 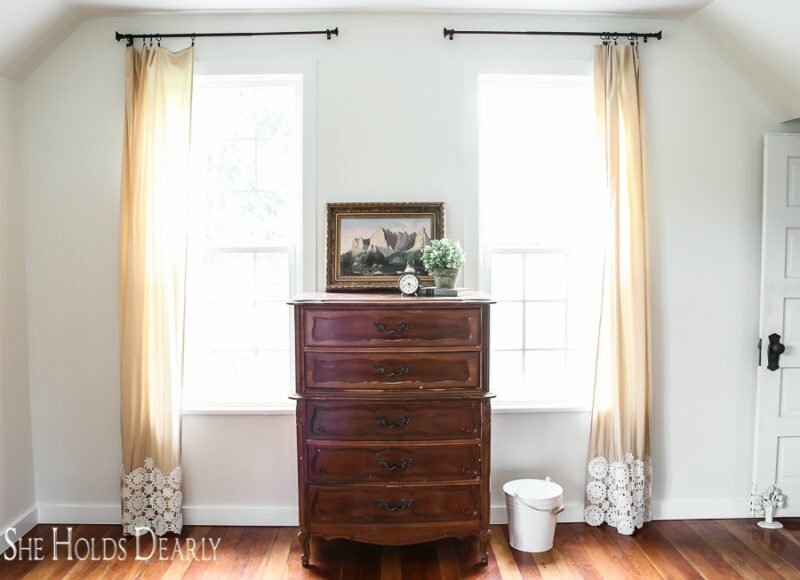 Invest in drop cloths, they will last you a lifetime! For the walls- fill and smooth all holes, remove outlet covers, light switch covers, etc. Make sure you are using paintable caulk! 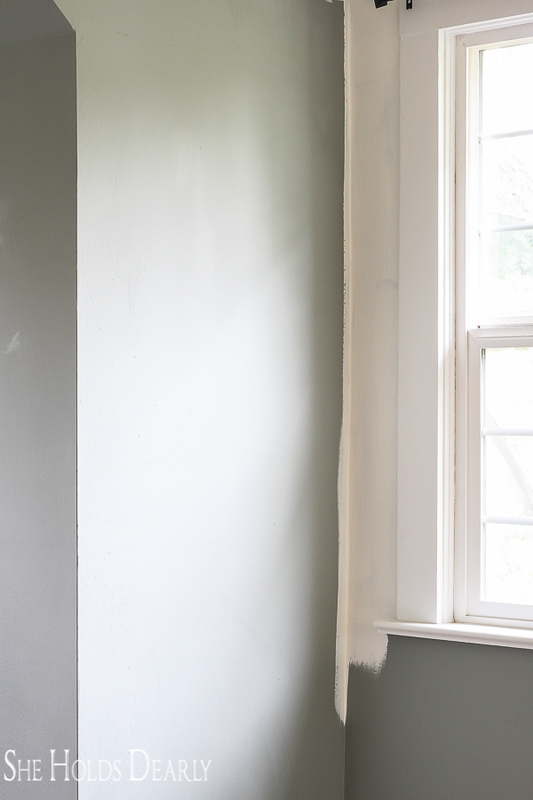 Let FULLY dry before painting or paint will crack. Be careful to cover all the chalk with paint, if you don’t the unpainted chalk will get grimy with time. 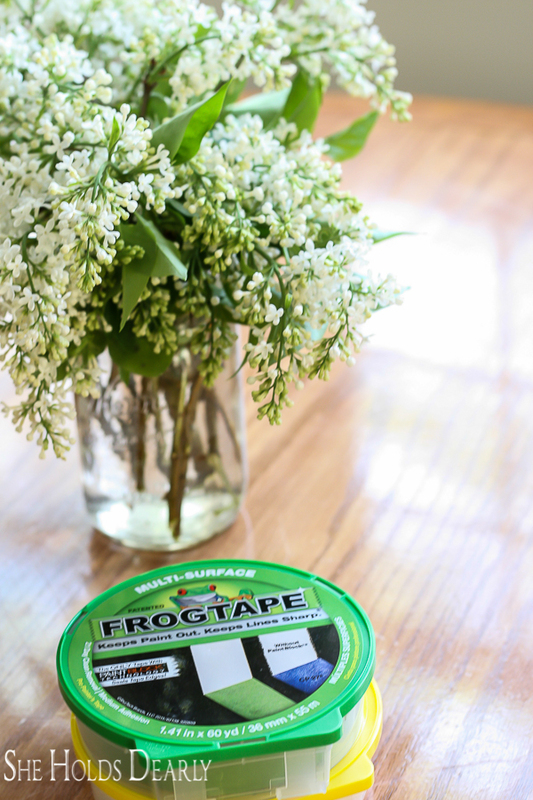 Use FrogTape for straight caulk lines, if your lines are unsteady. 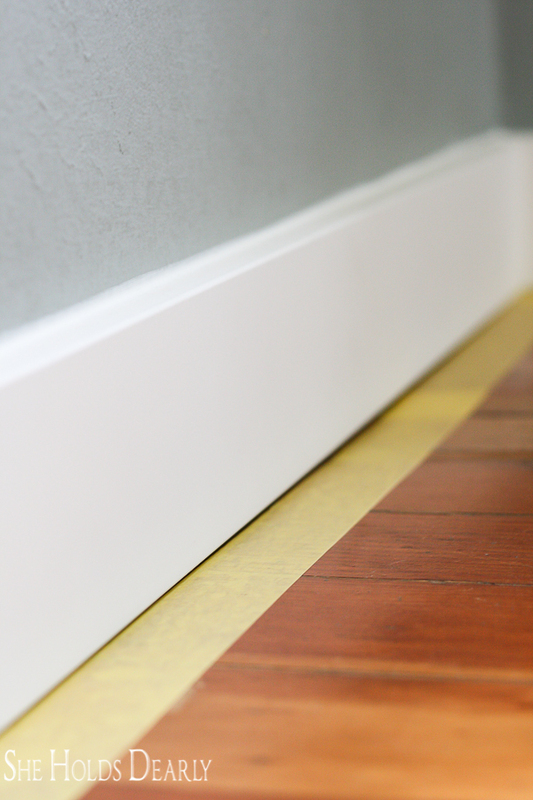 After cleaning and drying, tape off any wood floors with delicate FrogTape, press into place and then come in with your masking tape and paper, finishing with a drop cloth. 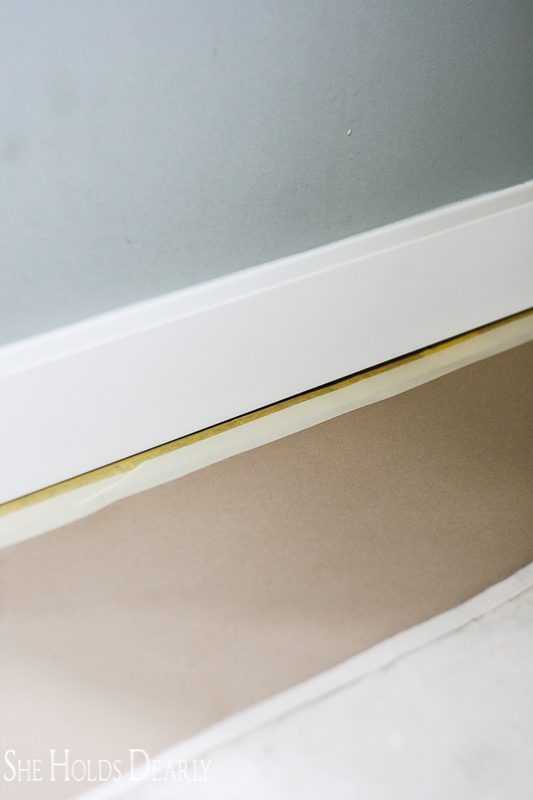 This method is more precise than not using the delicate Frogtape and the wood floor is protected from the harsher masking tape. Use the same process and 1 inch regular FrogTape to mask off millwork, even in our white on white room, we are using two different colors and sheens. FrogTape has a patented technology called PaintBlock that stops the paint from bleeding, watch this 5 second video to see the difference in action. 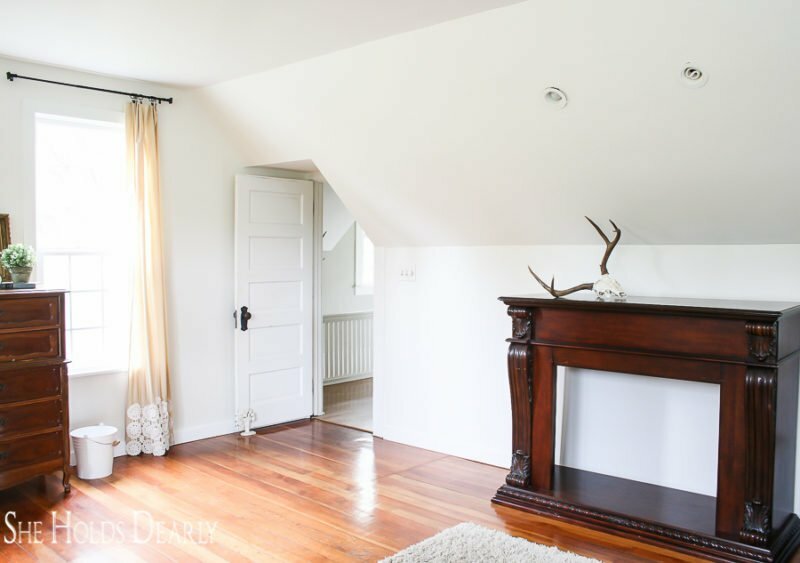 Decide which paint you are going to protect, meaning don’t mask off right in the crease, go slightly high on the wall or slightly low on the millwork. See examples below. This actually creates an optical illusion that your line is more perfect. 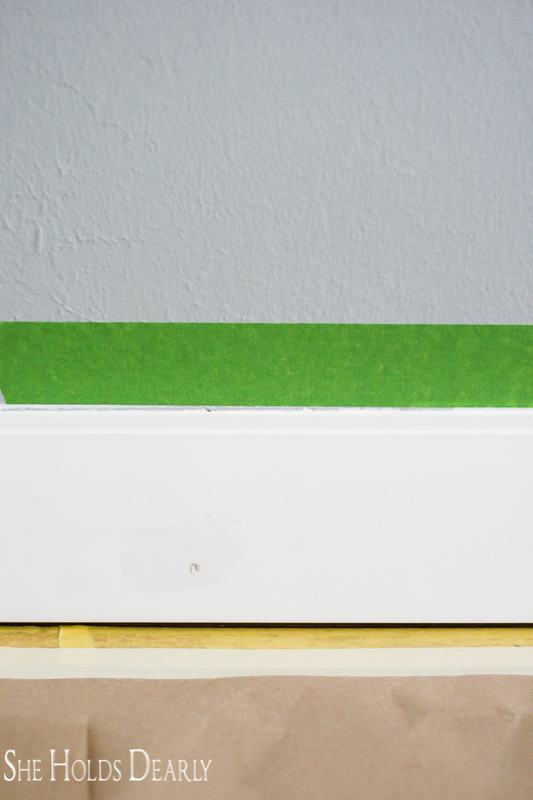 To prevent fibers from the roller getting on the wall, first defuzz the new roller with some tape. 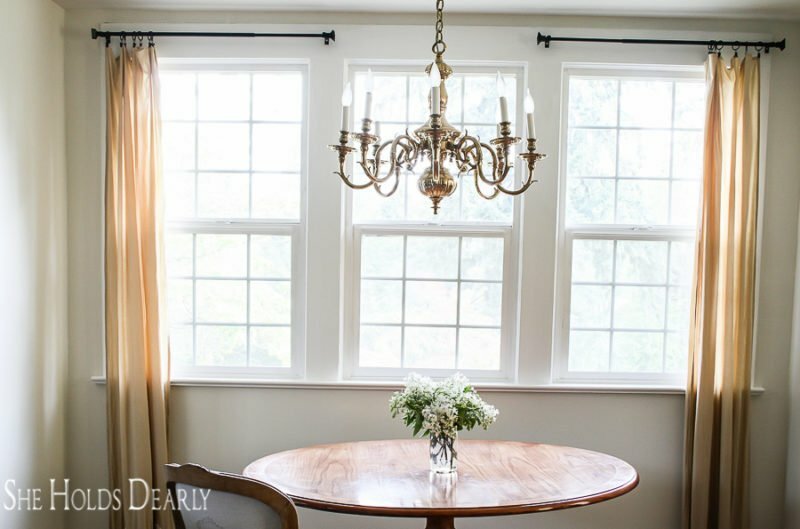 Paint the outline of each wall with a paint brush and fill in with a roller. See paint colors below. 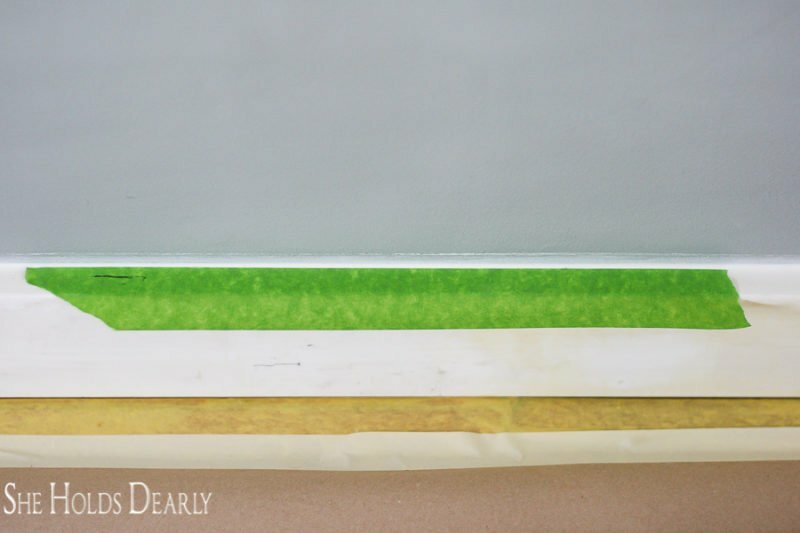 In between coats of paint, wrap your brush and roller in Saran Wrap instead of cleaning everything while you wait for the paint the dry. For a smoother finish- make your final roller strokes all down strokes. 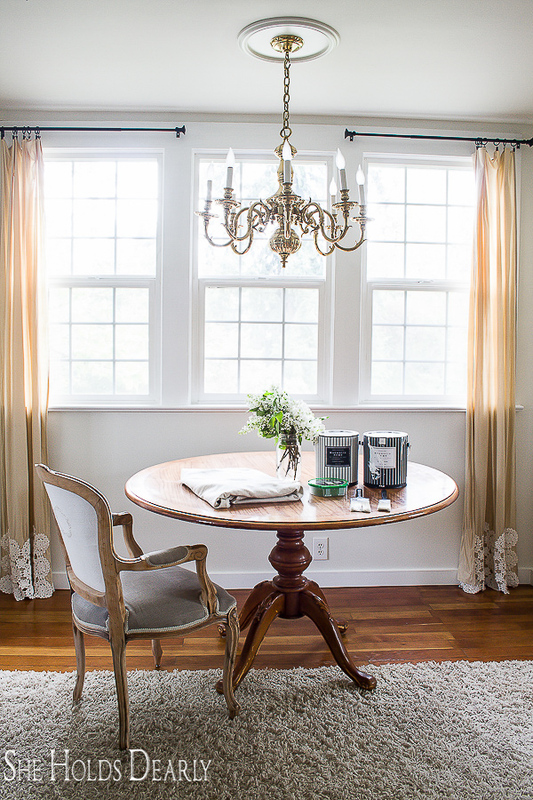 Log your paint colors and codes somewhere where you can find them in the future. I have a funny FrogTape story that just happened in our house. 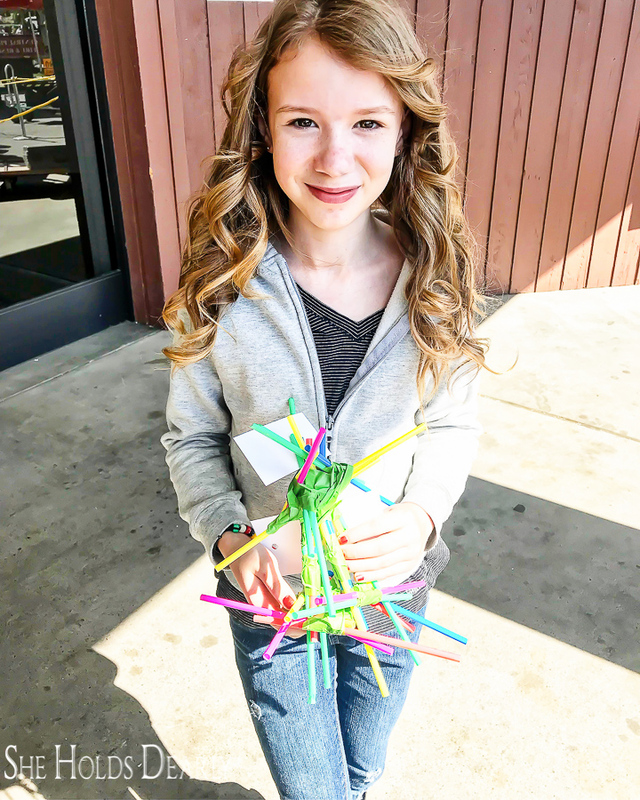 My youngest decided to compete in the annual egg drop contest this year in our state Spring Fair. Each contestant had to create a contraption that would protect an egg if it fell from 30 feet. Being the good mom that I am, I didn’t read the directions very carefully and had her make her design on her own. The materials were very specific, so when we arrived with her masterpiece, the use of Frogtape instead of masking tape caused a flurry of judges discussing if she should be disqualified for using “superior tape“! You will be happy to know, they did decide to let her compete and she took Third Place. Great tips! It was so hard to read through the content with 12 ads in between though. Confusing with the pictures and Amhara to see where the content continues. No doubt! I really HATE all the ads! If they could at least mark them more clearly it would help. My sentiments exactly! I will be passing this comment along to my ad company, I am working towards the day when I can turn off all in post ads!! Ashley, Thank you for this feedback, I am supposed to have only two ads. I will talk with my ad company. Your bedroom turned out lovely. It is so elegant and crisp looking. Love all the tips on painting. It is one of my least favorite things to do. I know. Thank you so much, more to do, but the white walls really make a huge difference!